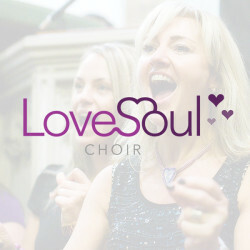 The idea to launch Love Soul Choir was formed back in 2008. 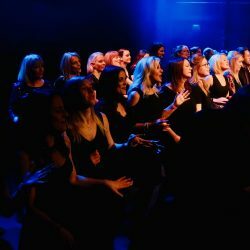 The journey started in Southampton where we wanted to launch a new, fresh and unique choir experience for singers in the city. Since launching the choir, we have had a positive impact on a huge number of individuals from all across the Southampton and Bournemouth areas. Over the years, we have met all sorts of singers. We’ve worked with professionals, amateurs and individuals who have never sung a note in public before. 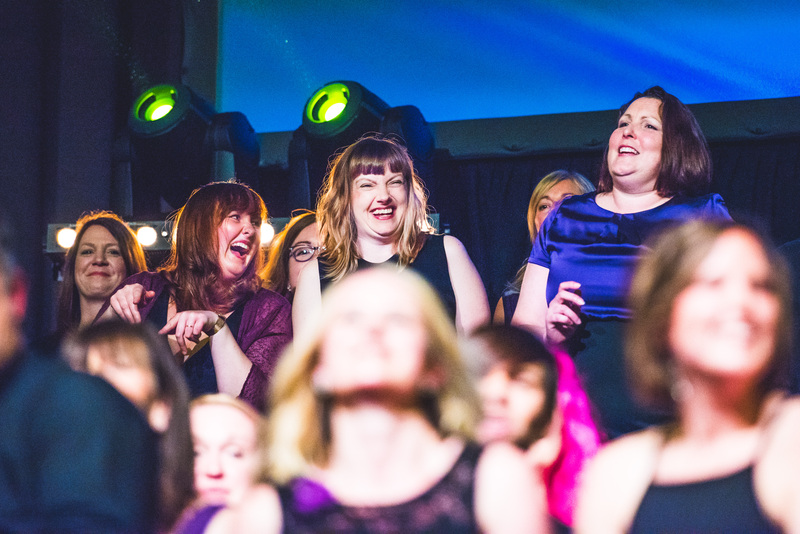 This is why Love Soul Choir is so special. All of our members have one thing in common and that is a strong love for singing, performing and being part of one big choir family. We love to watch our members grow in to confident and competent singers. We’ve even seen some take the leap in to the world of performing in public, alone. Love Soul Choir is a team. One team with one goal. To perform together and to love it along the way. The idea was born. We noticed a gap in the Southampton choir scene. 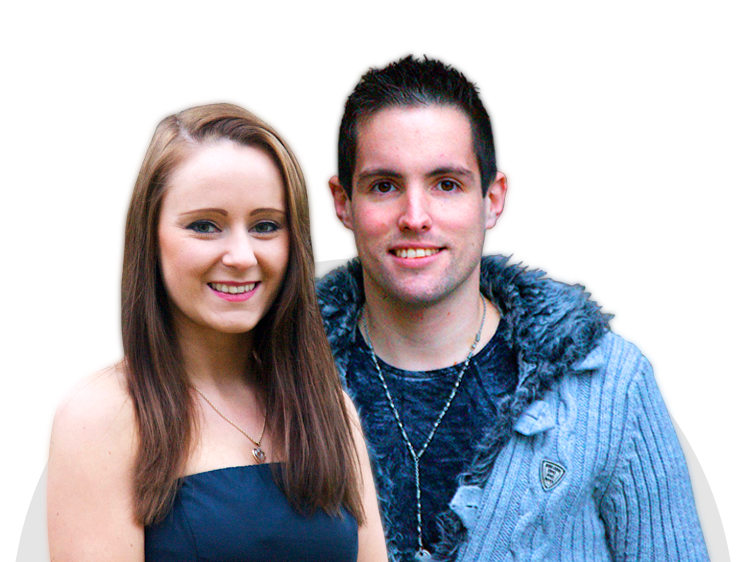 We had a burning desire to pull talented singers across the south coast together. This is where the journey started. Our first rehearsal in Southampton was at a restaurant called ‘NV’ and the first song learnt was ‘Higher & Higher’, originally by Jackie Wilson. 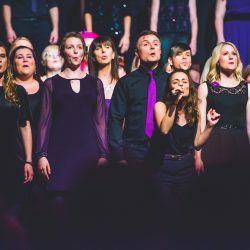 In between our rehearsals, we worked hard on learning songs, performing regularly and growing our choir to become the biggest pop & soul choir in Southampton. We became the choir of choice for Black History Month in Southampton, performing every year in different locations across the city. Our TV work started to grow, and we qualified for the live shows on Channel 5’s ‘Don’t Stop Believing’. 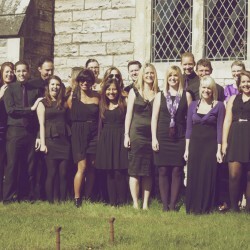 We were also asked by Gareth Malone to feature in his BBC documentary, ‘The Big Sing’. 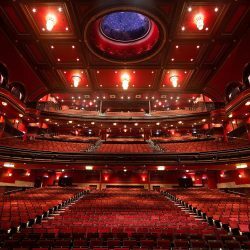 We opened a choir in Bournemouth. We held our initial auditions and got to meet some amazing singers. We started our work towards public, live performances in the Dorset area. We started learning songs specifically for our theatre performances and also performed at external events more regularly. This was a really fun time for us. 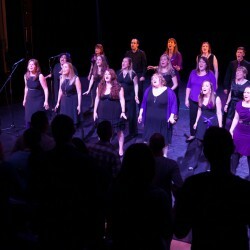 It meant that more and more people heard about Love Soul Choir. 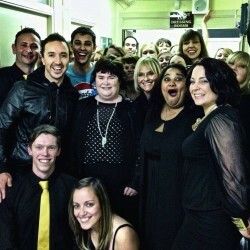 We were asked to be Susan Boyle’s backing choir for the Bournemouth leg of her UK tour. This was a great opportunity as our members got to perform a number of songs with Susan Boyle including her rendition of ‘I Dreamed A Dream’. 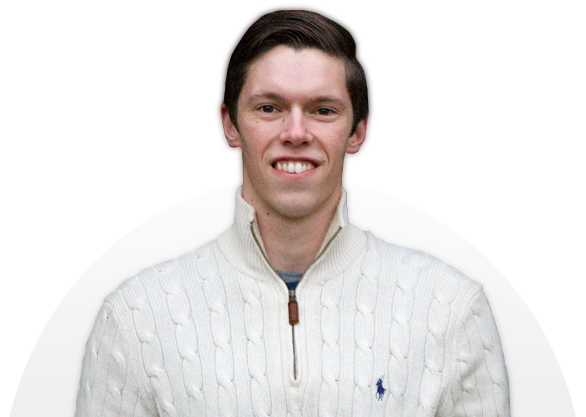 We worked on a rebrand and had strong goals for 2015. We performed more than before and had a record number of wedding performances across 2015. It was a very busy year for us and we can tell you now that there is something super special about performing at somebody’s wedding. We love it! We released our recording of ‘Like A Prayer’ as a free download during our 2015 Winter Show. The song features lead vocals from Mike Evans, Jayne Glynn & Rachael Fielden. 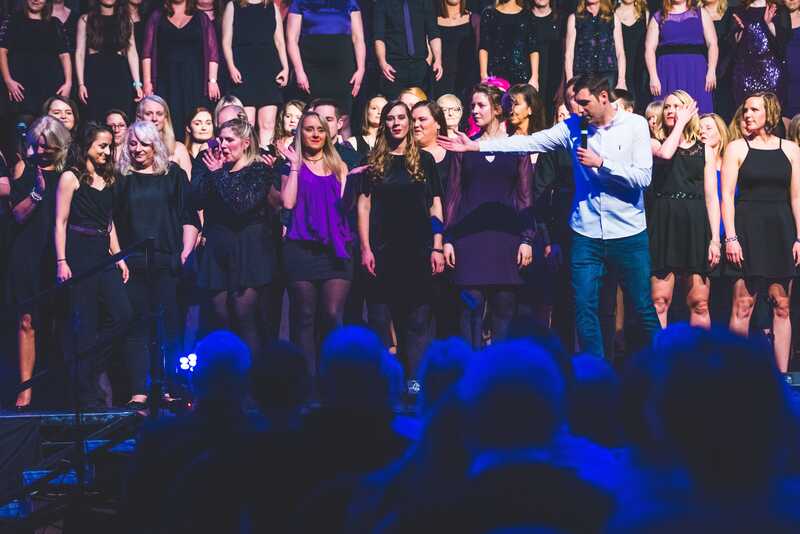 We performed at the first ever ‘One Sound’ choir collaboration show along with our friends at ‘SingForce’ and ‘Sing Now Choir’ to a sell out audience at the Turner Sims Concert Hall in Southampton. It was a very special event, something that was to become a yearly event in our performance diary. We were part of a flashmob in Westquay shopping centre which went viral. Along with SingForce and Sing Now Choir, the video reached over 700,000 views! We performed ‘Fix You’ by Coldplay and our very own Jayne Glynn started the first couple of lines of the song, alone! 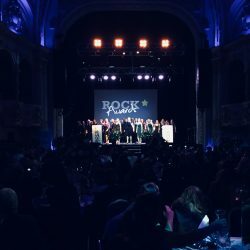 We were asked to perform at the Rock Recruitment’s yearly ‘Rock Awards’ event. We started the evening with a surprise performance of one of our songs, ‘Incredible’ – originally by the Shapeshifters. Our leader Dan was actually nominated for an award at this event so it was really special to be able to be part of the occasion. 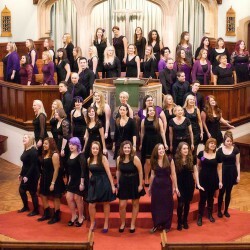 We perform as part of the One Sound choir collaboration show each year. The 2018 show was the biggest yet. We sang alongside 400 other singers (from SingForce, Sing Now Choir and Total Voice Contemporary Choir) to a sold out audience of 700+. It was absolutely incredible and we received lots of positive feedback about our performance and our new dance moves. We were honoured to be invited to perform (alongside SingForce) at the re-opening Gala Night for Mayflower Theatre. 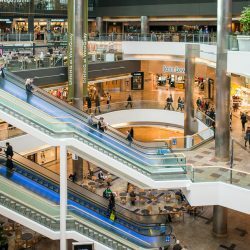 They had undertaken a £7.5 million renovation. We sang alongside Joe McElderry, Bobby Davro, Welsh National Opera, Birmingham Royal Ballet and Jaqueline Hughes who has played Elphaba in Wicked. It was epic! We had an amazing time at our 2018 Winter Show. We performed to a sold out audience at the Pavilion Dance South West theatre in Bournemouth. It was our best show to date featuring songs from Ed Sheeran to Stevie Wonder and Tori Kelly! 2019 marks the start of our 10th anniversary year! It’s crazy to think that Love Soul Choir was started in 2009 and that 10 years later we’re stronger than we’ve ever been. It’s going to be a very special year for us. 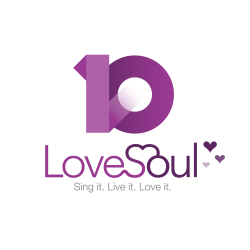 In 2019, we’re celebrating our 10th birthday at Love Soul Choir. We have lots of plans to celebrate and are also looking forward to performing out and about as much as possible. We have lots of amazing songs in the pipeline to learn and we’ll also be performing in the biggest One Sound show yet!